The appassimento style of winemaking began in Niagara as an innovation, moved to a trend, and is quickly becoming a mainstay of the local industry. Many wineries are experimenting with drying grapes to accentuate flavours, with three innovators at the helm of this new approach: the pioneers at The Foreign Affair Winery, the family business built on innovation at Colaneri Estate Winery, and Reif Estate Winery with their culture of evolution and experimentation. Each of these wineries is producing wines in the appassimento style, accentuating flavours in different ways and experimenting with percentages, blends, and drying methods. Most interestingly, they are all going about it in different ways. As I arrived to the tasting room at The Foreign Affair Winery, owner Len Crispino was behind the bar pouring wine for a group of buyers visiting Niagara looking to add some Ontario wines to their Toronto wine lists. Over and over, the consensus on the wine was “I can’t believe this is from Ontario!”, a notion that very probably defines the interest for appassimento winemaking in Niagara. Crispino is the pioneer that brought this process to Canada, achieving the first local appassimento wines in 2004. Seven years later, the process has begun to gain notoriety, with several wineries putting this technique into practice. The Foreign Affair Winery has Ilya Senchuk at the helm of its winemaking team, crafting a range of appassimento wines, with a portfolio that goes all the way from Riesling to Bordeaux blends, with varying proportions of appassimento grapes used in the different cuvées. Len Crispino is admittedly protective of his process, but according to Ilya Senchuk’s description, the grapes are dried in a building where the most technological aspect of what they are doing is plugging in fans. The temperature in this building is maintained between 5 and 15 degrees celsius. Both Len and Ilya indicate that this is a relatively expensive means of drying the grapes – yet it is obvious that both believe it is worth it. This method is staying true to the traditional drying method made famous by the Italian winemaking of Amarone, and results in a very slow process. They believe the slow concentration of the flavours best enhances the grapes and results in more interesting wines. Furthermore, the grapes are picked at very close to regular brix, and are typically coming in just a few days before the sugar levels in the grapes are suitable for fermentation. These sugar levels are recorded by a unit of measurement called brix. On average a Niagara wine would be picked when the grapes were between 21 and 25 brix, resulting in approximately 11 to 14 percent alcohol after fermentation. An example of the slight difference in the date of picking is the 2011 Merlot which was brought in at 23 brix for the grapes that would undergo the drying process and at 24.5 brix for the grapes that would be brought in and vinified without the appassimento technique. Senchuk noted that this difference in the brix measurement would indicate between four and seven days difference in the date the grapes were picked.The philosophy at The Foreign Affair is that the drying process is not designed to extend the growing season or produce high alcohol wines, but provide a different style to the wine. As I left the Foreign Affair, it seemed evident that the investment is in the wine; instead of having its own building, the winery rents space from the Vineland Research Centre, with their winemaking equipment split between tiny rooms. A very unique facility with every inch of space used to its maximum potential. As I approached Colaneri, which is a huge building with exceptionally beautiful architecture, it seemed that I was in for an entirely different experience. As I entered the retail shop I was greeted with a wall of wine, and a tasting space that overlooks the winemaking facility. A little loud at this time of year, but intriguing for the consumer, who gets a peak at the gritty side of the winery business, with harvest interns lugging hoses and cleaning up after what appeared to be a morning on the sorting table. It is notable to mention that the winemaker at Colaneri is Andrzej Lipinski, who notably used to be the winemaker at The Foreign Affair. Having had some experience with this style of winemaking, he has moved in an entirely different direction with the drying process. 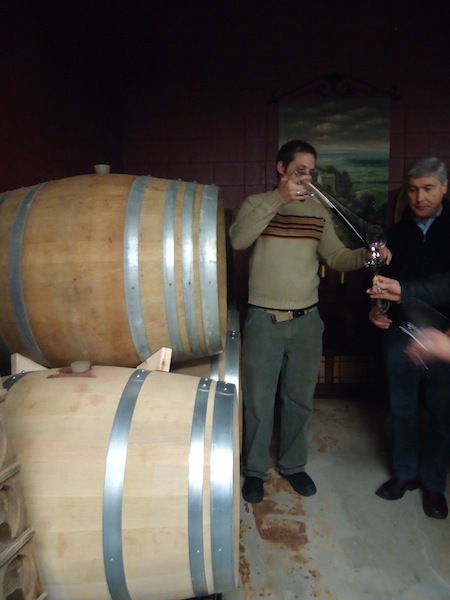 He is putting to use various methods to accelerate the grape drying, a method that the Colaneri winery wanted to emphasize in connection with their Italian heritage. The winery is currently producing 10,000 cases and stated that small production is essential to the integrity of their brand. “It is about quality, not quantity” explains Lipinski as he walks me through the winery, taking time to point out each piece of equipment that distinguishes the Colaneri process. It appears that he has all of the finest winemaking equipment at his fingertips, and a barrel cellar that at one third of its intended size is already housing several hundred barrels; by Niagara standards this is already a very large barrel cellar. It is, to say the least, remarkable. Colaneri’s drying process is completely different from the one at The Foreign Affair, using kilns and greenhouses. The kiln drying process occurs in old tobacco drying kilns, powered with fans that push air through the floor. The greenhouse uses a similar process, and has large industrial fans pushing air onto the grapes lying in racks throughout the room. In both cases, this creates a quicker and consistent drying process that can be accomplished in just a few days For comparison’s sake, Foreign Affair discussed grape drying times ranging from 80 to 120 days. The objectives in both wineries are different. As Foreign Affair’s Ilya Senchuk put it, “you aren’t changing the grapes, you are just removing water”, suggesting that only the intensity of the fruit is altered. “If you have a vegetal quality to the fruit, the wine will continue to embody that vegetal note”, which is why The Foreign Affair does not use the drying process with the idea of extending the growing season to achieve a riper character in the grape. At Colaneri the wines are dried faster, and it is acknowledged that the brix (or sugar content of the grapes) is heightened, with what Lipinski calls “a definite effect on the ripened fruit quality of the wines”. Having tasted through the portfolio at Colaneri, the wines exhibited a defined ripeness, a full round profile, and no enhanced vegetal character. The drying process at Colaneri can take up to two months, and has seen completion in seven to ten days. 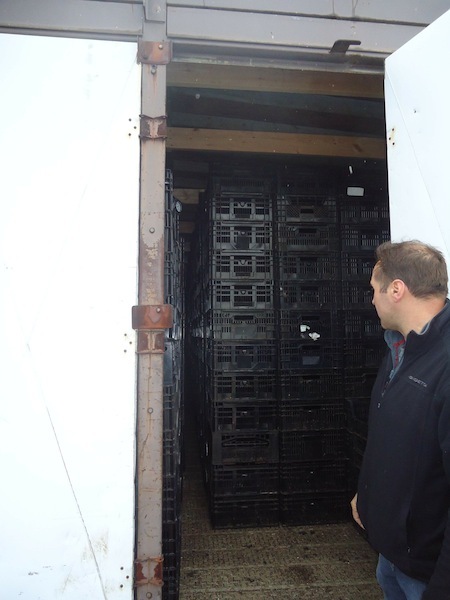 Using kilns to lengthen the growing season and ensure ripe fruit is the forefront intention of Roberto DiDomenico from Reif Estates Winery in Niagara- on-the-Lake. It was an opportunity to purchase the kilns that ignited interest for DiDomenico and owner Klaus Reif. At Reif, opting for appassimento was clearly done with innovation in mind. DiDomenico explains that “experimenting is in our blood” and with a quick glance at the winery’s diverse and ever-changing wine portoflio, it is obvious that there is a lot of truth to that statement. In discussing the vision behind the purchase, DiDomenico noted that “the kilns are here to extend the growing season.” As he discussed the ripening of grapes in the Reif vineyards he challenged the notion that we grow fully ripe grapes every year. The shortness of Niagara autumns is what drove DiDomenico to seek out a better way to achieve ripeness. Another byproduct of these kilns is what DiDomenico calls “an intensity and fullness to the wines that is unachievable without their use.” The most famous example of appassimento style wine at Reif is titled The Magician and is a blend of Syrah and Pinot Noir. This wine is the embodiment of that richness that DiDomenico was after. Another successful example of Reif’s use of kilns is the TBA (total botrytis affected) Riesling. As DiDomenico’s Italian heritage drew him to the kilns for full-bodied reds, owner Klaus Reif’s German heritage called on his desire to innovate, using the kilns to encourage the noble rot to spread throughout the grapes. 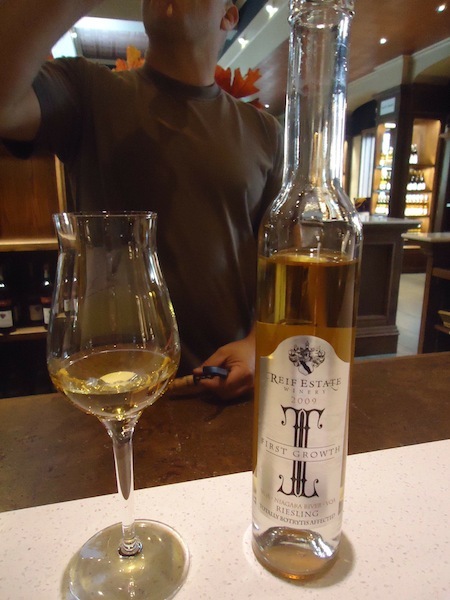 The result is a fine dessert wine in a traditionally German style. It seems then that the consensus in Niagara is that one has not yet been met. The drying times are variable, the strategies are variable, but the important thing is that the wines are often great. According to my tastings, the red wines best benefit from this process, gaining depth, character and intensity. Perhaps this will be how Niagara brings a bold red wine reputation to light. White wines see a richer mouthfeel, although often with high alcohol or high residual sugar. It will likely take a few more experimental vintages before the wines achieve their full potential. Other wineries are regularly announcing that they are also adopting the technique. As the appassimento winemaking trend continues, it is the idea of why the wines are better, not just why the wines are different, that will define the style for future use. Inevitably, innovation will become tradition, and I believe that this style will be a prominent feature of Niagara winemaking, well beyond the current, fashionable trend. 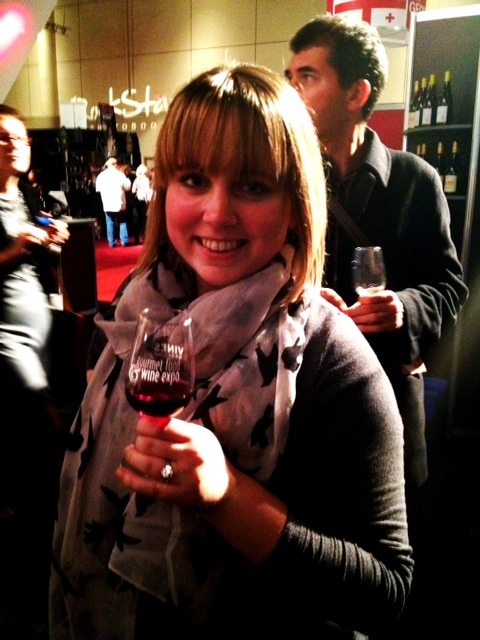 Allie Hughes lives in Niagara, Ontario and spends her days in wine country. Her passion for all things wine led to education with the International Sommelier Guild. 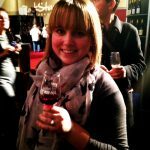 This knowledge is married with her expertise in communications which resulted in her passion project, www.winegloss.ca. Very interesting topic. I have been using this technique on Chardonnay and Cabernet Franc in the Finger Lakes region for the last ten years. It is certainly a way to improve balance and textural elements in cool climate wines. Having tasted the results in Ravines wines, I can certainly agree with that. There are obviously different ways of using it for different results, in both whites and reds. Hate to pick out the error in an otherwise fine article. The first appassimento wine produced in Ontario was made by Gabe Magnotta. His 2001 Enotrium was produced from ‘bordeaux’ grapes grown in Niagara (50 % Merlot, 25% each Cab. Franc and Cab. Sauv.) using the traditional Amarone method of drying grapes on racks. For the 2001 vintage, the grapes were air-dried for 20 to 30 days. I have no idea what these wines are like and I probably never will. Foreign Affair 100% appassimento wines start at $80 and go up to $160. They also have partial appassimento pinot noir, riesling, sauv. blanc, and chardonnay. This to me seems likely to be a niche, not a future tradition. I find it hard to make the connection between innovation and making appasimento wines outside of Veneto. Should we also claim that since we make traditional method sparkling wine we are innovative? 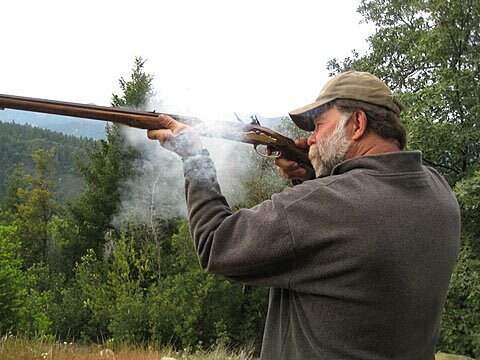 Borrowing a technique the Romans used is not innovation. It is a borrowed technique, but adapted for Niagara’s wine growing climate and the vitis vinifera that we can actually grow and ripen here. The technique is making very unique wines that are certainly very different from what Niagara wineries typically produce. My thought was that bringing this winemaking technique and adapting its use for Niagara’s cool climate was borrowing the fundamentals of an established technique and reinventing the traditional perception of Niagara’s ability to grow and vinify bold red wines. The wines at Foreign Affair start at about $22.95 in the white portfolio of partial appassimento and in the red portfolio at $28.95. As well, this particular winery is using the most expensive process of the three discussed with the most exclusive wines as far as production goes. Colaneri and Reif are also making really interesting and exciting wines at lower price points. Even if purchased as a special occasion bottle they are definitely something to consider! The Foreign Affair 100% appassimento wines range from 14 to almost 17% alcohol. This is not expressive of cold climate viticulture. It seems to me that nature is being pushed somewhere it shouldn’t be going rather than going to where it wants to go. Appassimento is not a question of pushing nature anywhere. It is a technical transformation of the grapes. Whether that is desirable or not is a completely different story, but the same question would apply to Amarones. Would you say that amarones are pushing nature somewhere it shouldn’t be going? These winemaker/owners say that the Niagara season is not long enough to ripen, so already they are unhappy with the terroir and do not want to work with what they have. The “technical transformation of grapes” in a kiln is a mechanical and artificial transformation. It seems to me that drying grapes in the sun in a traditional way is still true to the continuum of natural winemaking. These people are expressing their own style and that’s fine if you like it. Enjoy! But this style has nothing to do with “Niagara” as a distinct terroir . It is just particular winemakers looking to add more alcohol to their wines. One of the winemakers did indicate that the kilns do have the benefit of creating a longer season. However, that winemaker and all of the others discussed the use of the kilns, greenhouses and drying racks as a stylistic endeavour. The Foreign Affair Winery in particular does not use kilns or any mechanical measure by which to dry their grapes. They are using different varietals than in Amarone, but that doesn’t change the desire to create a full bodied wine with an intensity that cannot be achieved without the practice. The style was well received and these three wineries have now turned to the practice for their winemaking, along with several other wineries. 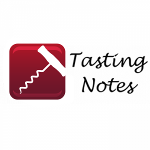 My impression from the discussion with the winemakers as well as tasting the wines is that higher alcohol is not the driving factor behind these wines – the results of appassimento in Niagara are often very beautiful, intense, and complex wines. Reif and Colaneri don’t post alcohol content of their wines on their sites.In the case of Foreign Affair, it just doesn’t seem right when the chard. and sauv. blanc approach 14% in a cold climate region. This article is a bit of a joke. Could you please do a better job of screening your contributing editors. Preferably people who have a clue about wine. Winelover – This the kind of personal attack that caused such a stir on the post about Natalie McLean’s book. It’s very immflamatory and unhelpful. I disagree with Allie Hughes but she has given us something worthwhile to think about. My major disagreement is with the winemakers who have taken god-like status for themselves thinking that they can “extend the growing season” and claim that they can improve on the “fault” of nature. It is arrogant and artificial. A very important distinction indeed. Thank you for that comment, Eric.